Should I Use Adobe Muse To Build My Website? When we think of Adobe, we tend to think of Photoshop, Illustrator, InDesign, possibly Flash, and a few of the other more common programs. When it comes to building websites, however, the place where most of our minds go is WordPress, or perhaps Drupal or Joomla. WordPress of course is the biggie. This is the website builder and CMS (content management system) that is pretty much built for the novice – though if you are in possession of coding skills, then you can do a very professional job on WordPress, too. But, as a webmaster, you might not have any coding skills – nor any inkling to acquire some. You know the power of Adobe products, and how they are pretty much second to none when it comes to the creative design tools on the market. But what you may not realise is that Adobe have an app as part of their software suite, available when you sign up for Adobe Creative Cloud, that makes it incredibly easy (as opposed to coding without any knowledge) to build professional looking websites. Yes, Adobe Muse is a web design application that has been marketed as “Web design, decoded”, and that’s exactly what you can expect from the product. It’s a program that’s targeted at print focussed designers, allowing you to build amazing websites without having to contend with even a single line of HTML or CSS. If you’re at all familiar with Adobe software, then you’re more than ready to get started with Muse. The interface is rather similar to InDesign/Photoshop, so if you’ve been putting together some great publications in these programs, then you’re more than ready to transfer your skills across to Muse. Ah, I remember the Pearl Jam album of that name, but, if that’s not reason enough for you, then let’s consider this advantage even more than we already have. Creating dynamic documents is something that is normally left to the coders, which actually excludes many of us. But, with Muse, dynamic elements of a web page – like drop-down menus and navigation bars for instance – are included as a series of widgets, which you simply drag and drop into place. The CSS, Java or HTML code is automatically generated “silently” behind the scenes of the interface, so that whatever you design is ready to be published online as soon as you’ve finished. You will know if you’ve ever tried to build a website with WordPress just how restrictive the themes are – especially for non-coders. In contrast, Muse themes are easily editable, meaning that you can select and modify each and every element of the template, ready to be republished live on your website. Indeed, there’s no reason why you have to stick to a single template with Muse, either. You could, for instance, purchase several templates, and select your favourite elements from each, and make a completely new combination for use on your own site. Adobe Muse is downloadable, making it functional as an offline website builder, which might be important for some (we’re not all constantly connected after all). You can use Muse offline by uploading it to Adobe Business Catalyst, or, if you export it, you can actually upload it anywhere. So, why isn’t everybody using Adobe Muse? Well, of course, there are lots of people out there who are very good at building with code, and are very passionate about it as well. And, to be honest, Adobe Muse is not built for them – it’s been built specifically with graphic designers in mind, i.e. those people who have traditionally found work designing printed materials and other ‘static’ imagery that might be sold on to webmasters. 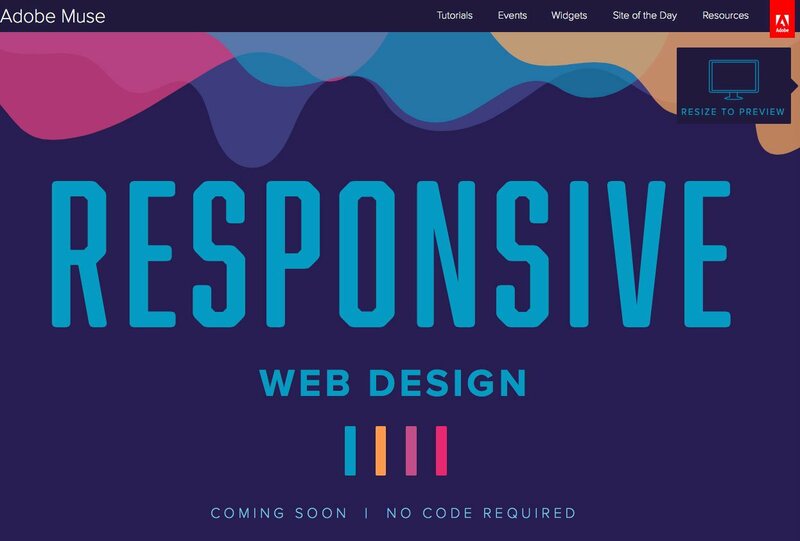 Now, with Muse, these designers can start expanding their reach and move into the world of website building, which may well have been a closed door to them in the past. But, aside from the target market perspective, there are a few limitations with the product that you should be aware of. At the moment, however, because Muse websites are essentially unstructured, they cannot be built to be responsive, and this means that you have to design 3 different versions of your site so that it will load on desk/laptop, tablet and mobile. It’s obviously a great thing that responsive design capabilities are on their way, for as of April 21st this year, mobile friendliness has been an official ranking factor on Google. But, in the meantime, as things stand with Muse in its current incarnation, you may find yourself stuck for getting this right, so the sooner Adobe can roll out this important update the better. So, Should I Use Adobe Muse To Build My Website? Well, if you’re not a coder, then Muse is most certainly a great website building tool that has all the professional finishes of every Adobe program. Indeed, if you’re familiar with Photoshop and InDesign, then you will take to Muse like a duck to water. However, there are currently limitations and a few kinks in the application that might cause some to be a little cautious. At the end of the day, if you’re subscribed to Creative Cloud, then you will always be running the most up to date version of Muse, and, naturally, the Adobe team will be striving to make the product more efficient and more powerful all the time. No doubt within the next 6 or 12 months they will have addressed any user issues and it will perform as seamlessly as anything else, but with all the added style and brilliance that only Adobe can deliver.